Say Nothing, Act Casual: Pelicans and Fitbits and family love. For my birthday I asked for and received a Pelican. I so love this bird. 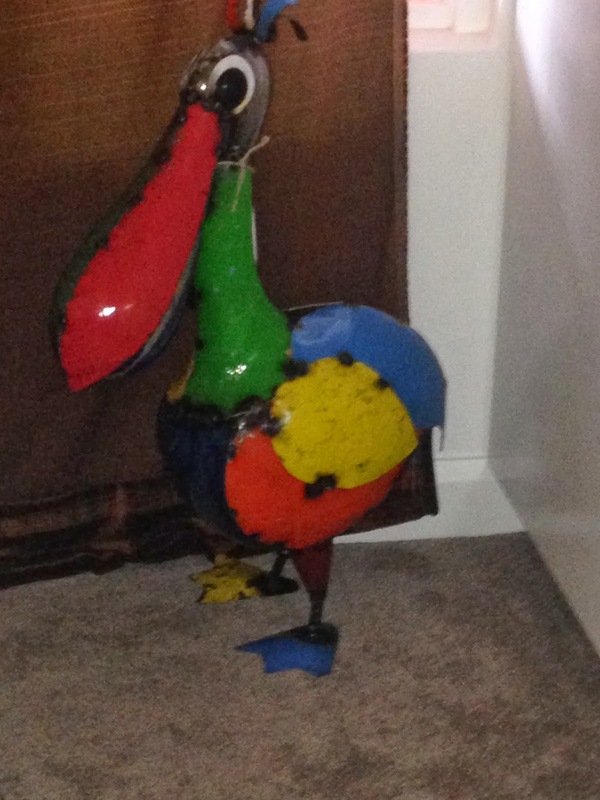 His name is Peli (imaginative...not) and he will guard our house from the front when it is done. For now though, he will sit at the back where he is safe. I also asked for, and received a Fitbit. 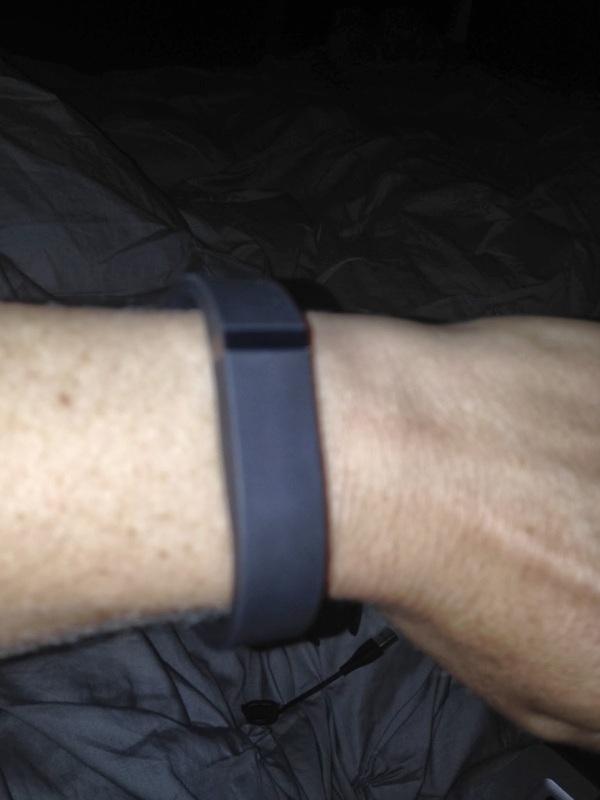 It's a tiny black bracelet thing that sits on my wrist and measures my steps so I do 10,000. And it helps me track my calories and water intake so I can be healthy. Because when you're 42, you need to be healthy. So, far it's 8:56 and I have taken no steps. Today may not be a good day to start my fitness thing. We are going out to brunch with my gorgeous sister and nephew which will be awesome. I only plan to walk about 25 steps from the car to the cafe. Not good for the Fitbit. 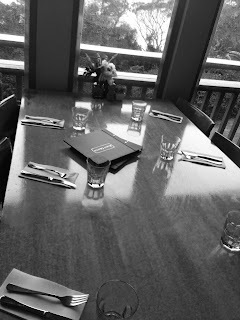 The table at the cafe. Before we messed it up. Then tonight I am being taken to the revolving restaurant in the city. Not the Centrepoint one, the other one. Because I am a retro loving dag from the 80s and that's what I wanted to do. I think the kids will get a kick out of it. And I will get a kick out of them getting a kick out of it. Except I'm sure they think it's going to whirl around like something at Luna Park. Must remember to adjust their expectations. My poor, poor husband works in the same building as the restaurant and is a bit sad he has to go there on a Sunday night. It's like torture for him. When I asked to go, the potential trauma he might suffer at having to return to his workplace on the weekend didn't really occur to me. Now I feel bad, but not bad enough to give up going to a revolving restaurant. I have been brought the perfect cup of tea by a one armed 10 year old. I have been sat on by a very affectionate 6 year old. And I have been given the third degree about how a Fitbit works by a very inquisitive 8 year old. Sarah has made me a one armed, heart shaped chocolate cake. I have been cuddled and kissed and stroked and patted and feel very, very loved. I love birthdays and I love all my people. You know who you are.